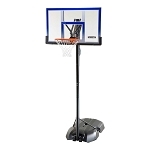 Cyber Monday Sale at Competitive Edge Products, Inc.
Today only, take advantage of a 5% sale on nearly all products. This sale takes 5% off the lowest marked price on most products. In conjunction with this sale and the Christmas holiday, we have created several new coupon codes for use on our site now through December 9, 2011. Please note that these coupon codes will no longer work and the offers no longer valid literally at the stroke of midnight, December 10, 2011 CDT. So, make your purchases now before time runs out. 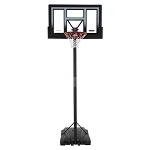 cheap 90157 - save $20 off this 90157 Lifetime kayakcheap98856 - save $30 off this Mammoth Basketball Hoopcheap1558 - save $15 off this 1558 Lifetime Portable Basketball Hoopcheap2970 - save $48 off this 12 pack of 2970 Lifetime Round Folding Tablescheap2971 - save $48 off this 12 pack of 2971 Lifetime Round Folding Tablescheap98862 - save $40 off this Mammoth Basketball Hoopcheap98874 - save $50 off this Mammoth Basketball HoopAlso check out some crazy low special prices on Kayak products.Also check out some deals on a wide range of product deals.If you would like a coupon code for another product like us on our Facebook Competitive Edge Products profile and like us on our Facebook Portable Basketball Hoop profile. After you have liked us on these two profiles, contact us by phone at 801-732-0601 or by email / Facebook message and we will give you $5 off an order over $15.